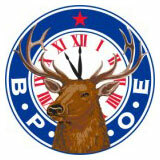 Sponsoring Elks may start the application process either online or using a traditional paper form. Don’t know an Elk? Contact us, we can help!